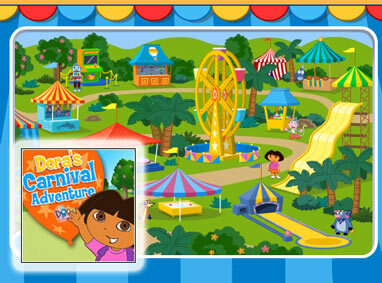 Join Dora in an exciting adventure at the carnival! 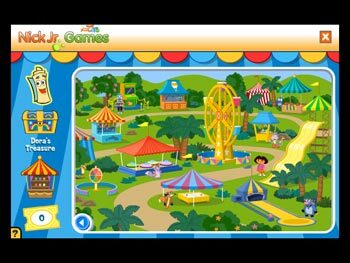 Now kids can play their favorite carnival games of skill and chance right along with Dora and her friends! Collect tickets in the glittering treasure chest, and redeem them for fun fair-type prizes! Your kids can try their hand at 10 different types of games that include: 'Tico's Bumper Cars,' 'Thirsty Dolphins,' 'Benny's Bowling,' 'Hot Air Balloon Race,' and more!